God this movie has to be one of the most memed movies out there. 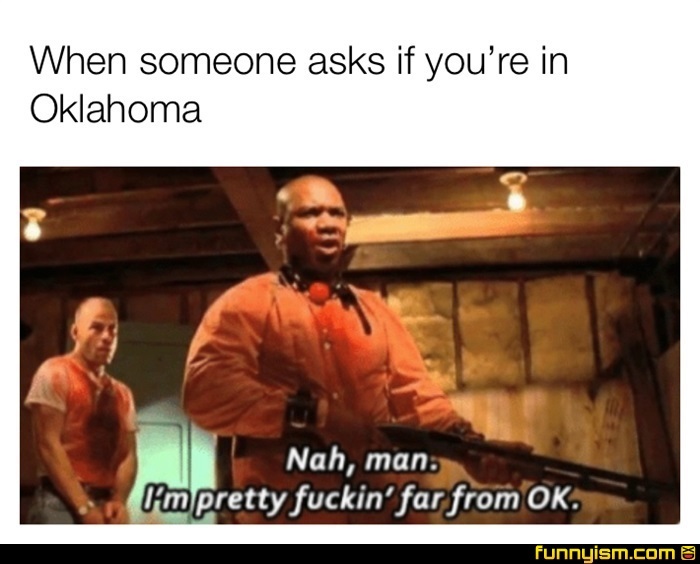 Hey I live in OKC! @Prime Umbra, so you are pretty fückin ok? @Bozztrocity, At least you can go to the world's biggest gun show twice a year.